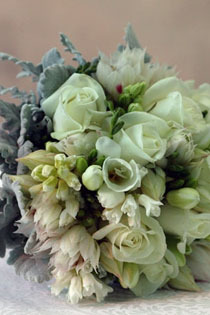 Our wedding consultants will discuss, advise, design and co-ordinate all floral requirements for your special day. From traditional to contemporary, stylishly simple, to magnificently decorated, whether it be a bridal bouquet or centre pieces– we will cater for all of your needs. Our unique approach will ensure the flowers are perfect every time no matter what the wedding size or budget. A free personalised wedding consultation (by appointment) is available to brides as well as a detailed written quotation.